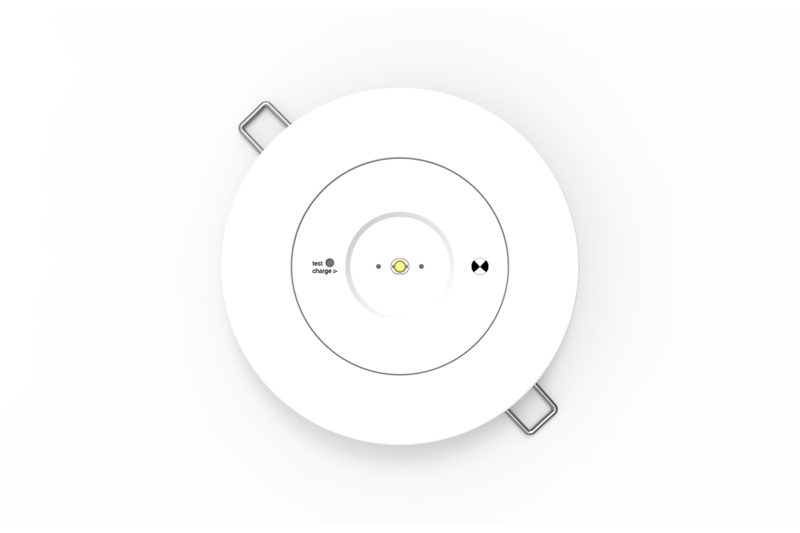 Recessed mount emergency luminaire suitable for areas with ceiling access. Runs on high-temperature NiCad batteries and comes complete with flex and plug. We like to keep emergency luminaire fixture designs simple. Customers should only notice them when the situation calls for it – in an emergency. And this is what EMLITE does exceptionally well. Small and unobtrusive, the only visible part of EMLITE is the flush mounted LED light assembly, with the battery and control gear housed in a remote box. EMLITE is a low-cost emergency luminaire solution suitable for most business settings including those with plaster and T-bar ceilings, which is why it is our most popular emergency lighting product.